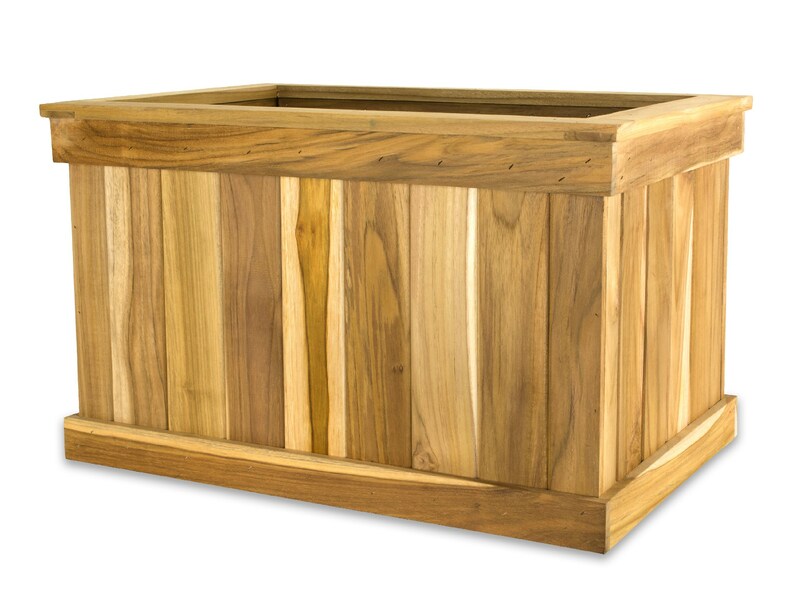 Our quality Teak Tree Planter Boxes are built with 3/8" thick by 3" wide teak wood for the sides, and one inch teak wood for the bottoms. 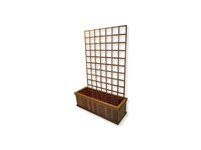 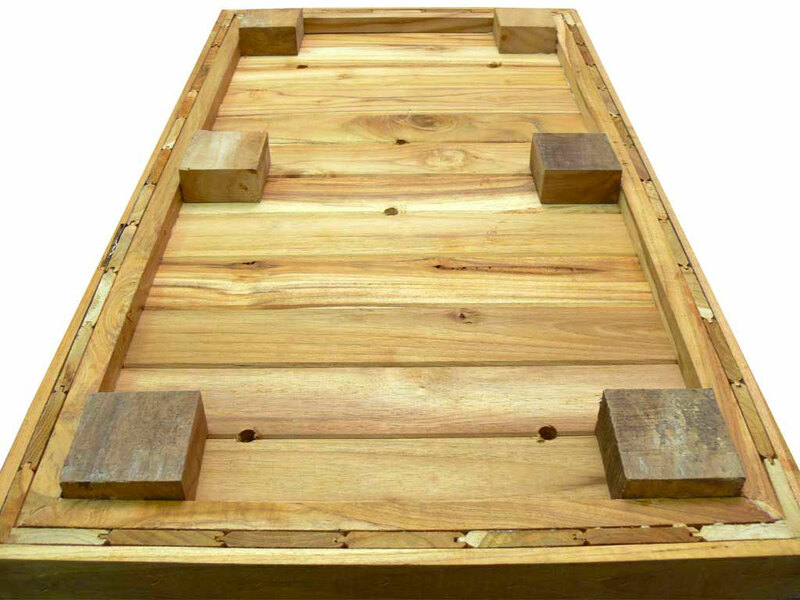 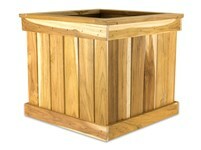 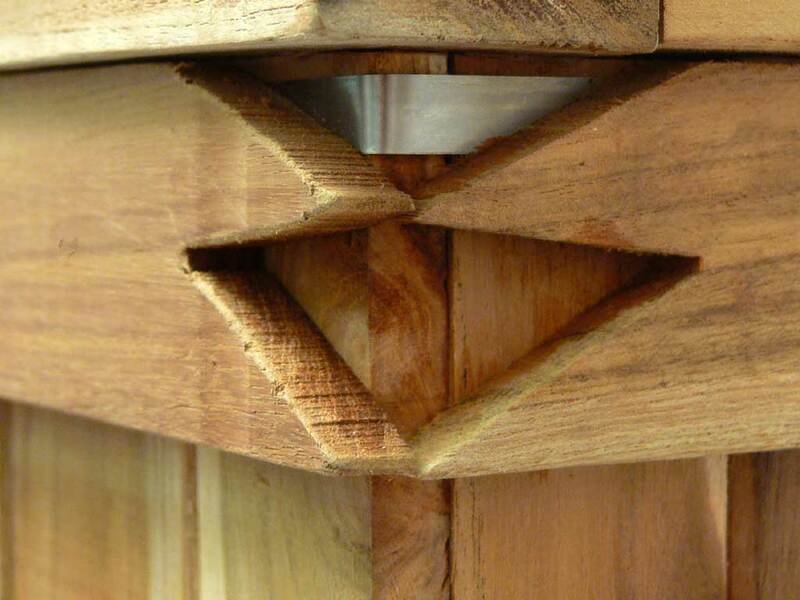 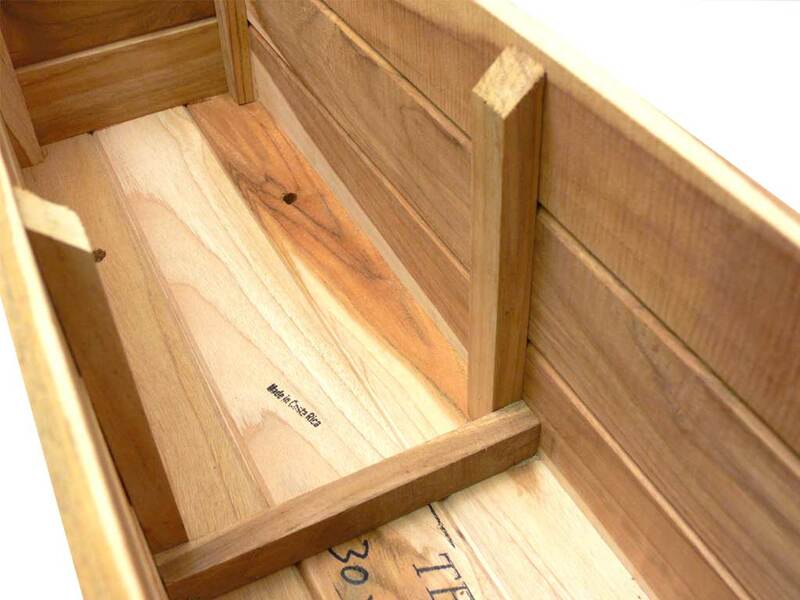 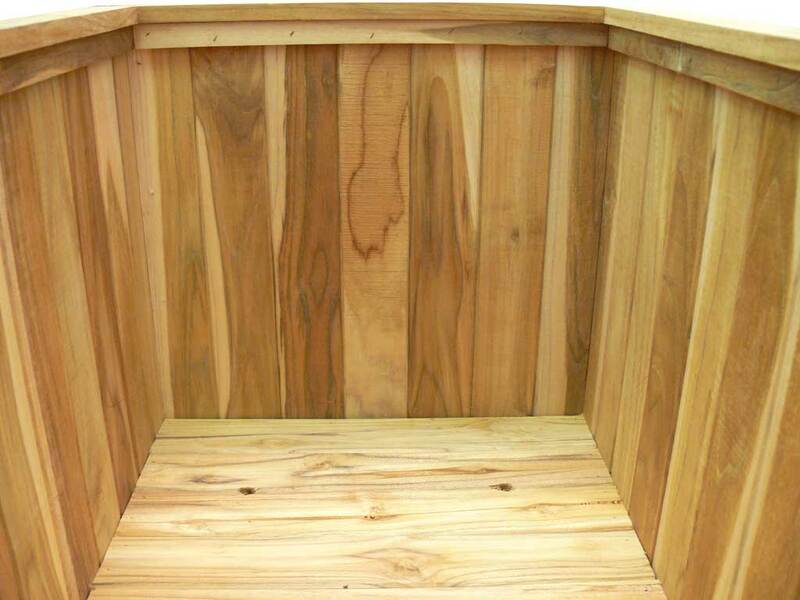 Assembled using a tongue and groove technique these gorgeous tree planter boxes will stand up to all types of weather, and when used as planters, do not require liners. 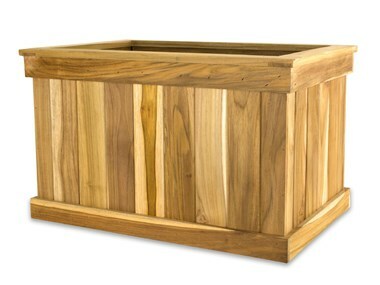 These teak planters even have two stainless steel bands underneath the horizontal detail strips on the top and bottom to ensure that you may enjoy these teak planter boxes for a lifetime.